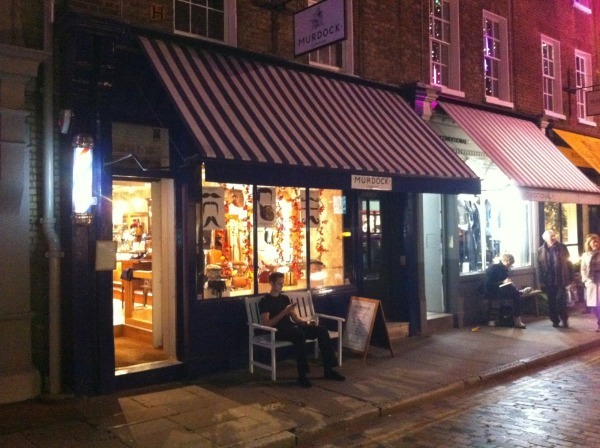 We are always interested to see new retailers or different approaches to the high street experience and on the Millican blog we spotted Murdock, a traditional men’s barber in Covent Garden on Monmouth Street. Taking the traditional barbers services a stage further by retailing accessories and apparel is a great idea. Next time we are passing we’ll be in for a trim and a spot of shopping. Please contact us for a new perspective on your brand. We are an independent creative agency based in Greater Manchester. Over the last 30 years we have helped create successful and intelligent visual communication for some of Europe’s best known brands and retailers including PING, Hotter Shoes, Henri-Lloyd and many more. Please use the form to get in touch or feel free to speak to us on +44 (0)1625 828991.